Vital Signs – such as your temperature, blood pressure, heart rate and respiration rate. Head and Neck Exam – Your doctor will be checking for any sign of issues with your tonsils, throat, nose, ears, sinuses, eyes, lymph nodes and thyroid. The quality of your teeth and gum can show signs of your overall health as well. Heart Exam – Your doctor will be using a stethoscope to look for any signs of a heart murmur, an irregular heartbeat or other signs of possible heart disease. Lung Exam – While using a stethoscope, your doctor will be listening for any wheezing, crackles, decreased breathing or other sounds. These clues, along with others can show signs of lung or heart disease. General Appearance – Just by talking to you, asking questions and looking at the health of your skin, your doctor will be able to asses some health issues you may be having. History – Here is where you will want to tell your doctor about any concerns that you may have noticed. Your doctor will probably ask you questions in regard to your daily habits and routines. Such as, diet and exercise, whether or not you smoke or drink, and about you sexual health. Diabetes: High blood pressure, high cholesterol, and a family history are all good reasons for you to get screened for Diabetes. Depression: Some medical issues may stem from depression. Getting this checked annually is important since many people may be unaware they suffer from depression. Colorectal Cancer Screening: Tests for this type of cancer should begin at the age of 50. Sexually Transmitted Infections – This may be suggested as part of your Arlington physical exam, based on your sexual history. 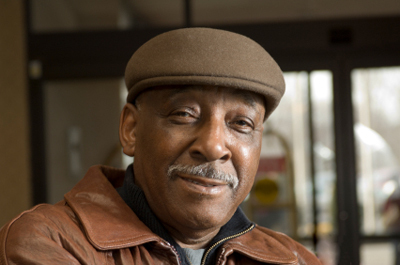 Prostate Cancer Screening: These include digital rectal examinations and prostate specific antigen tests. Testicular Exam: Your Arlington physician may check for lumps, tenderness and changes in size. Mammogram: Depending on family history, a mammogram test is needed every 2 years between the ages of 50 and 74. Breast Exam: At your annual physical, your doctor will check for any signs of breast cancer, such as abnormal lumps. Pap Smear and Pelvic Exam: Women should begin to have screenings within 3 years of sexual activity and every three years after. During your pap smear, your physician may also do a full pelvic exam. Osteoporosis Screening: These tests should begin around age 65 or earlier, depending on family or personal history. If you have not received your annual physical exam or if you have any questions or concerns about your health, at Arlington Primary Care we are here to help you. Call or come see us today to set up an appointment for a comprehensive annual physical exam in Arlington.